It is very challenging when the small businesses join the fray. The competition is very tough and it takes a lot to even survive among the big fishes in the game; forget about surpassing them. It would work in their best interest, if small businesses were to focus on their local SEO strategies. Stop competing against other established businesses and train your focus on excelling in your niche in your geographical area first. Once you have crossed that hurdle, you could look beyond. But for now, all attention should be to gaining a foothold through Local SEO. Small businesses could gain in search engine rankings if they were to target a local market as that is one area where Google search is less competitive. So their chances of ranking high there are more as compared to on the general search. The budding businesses need to first make a name for themselves, so they need more conversions and this they can achieve through local search as those looking specifically for their business will find them and that ensures sales. 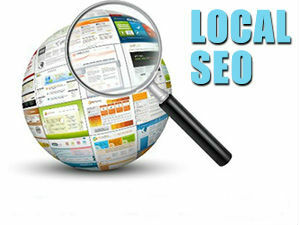 Most people who are looking for a local business access Google Places and other local search results. So as a small business your task is to first get listed on the local directories since this will channelize the local traffic to your business. Yes, Google Local SEO will definitely give you higher potential results, but in your endeavor to rate high there, do not neglect the other local search engines. Keep all options open; as more, the better. To rank on the local search, it is mandatory to register your domain name with your local address. This will lend the authenticity to your business that the search engines seek. Do not try to optimize your site for a number of keywords. Identify the core keywords and ones that people will actually search for while looking for your business. If you try to target too many keywords then it may happen that you may get optimized for words which people are not searching for. To avoid this, you need to identify the right keywords that will divert the traffic to your site. It is the era of smartphones and people are searching for services while on the move. As an astute businessman you need to understand this and tap this trend to your benefit. Local businesses tend to gain a lot from this as people will definitely search for services or products which they are in need of and if you are able to reach out to them at that particular time, then your sale is through. Make your website compatible to all modes of search, whether on mobiles, laptops or desktops. As a new business you need to constantly be in the eyes of your target customers. Use the powerful social media for this purpose. Help your potential customer find enough information which is excellent and relevant to your business. Constant updating of information is very important to remain in the minds of your target audience. Do not think that since you are a small business you cannot stand up against the big businesses; the right efforts and focused energy with a lot of determination and patience will definitely help you strike it big.